Dr. Colvin is a Colorado native who graduated from Colorado State University in 1982 and has practiced at Bijou Animal Hospital since 1984. He enjoys all facets of medicine and surgery. Endoscopy and ultrasound diagnostics are of special interest. Outside of work he enjoys sea kayaking, skiing, photography and traveling, His favorite destination so far has been Paris....Dr. Colvin has said, "It is a magical city with something new around every corner." If you look there are several photographs around the office that he has taken on his adventures, all highlighting animals and the wonderful scenery he has encountered. He is married to his beautiful wife Barb who is a talented landscaper and gardener and has made the outside of Bijou look so wonderful. He has two adult children that he enjoys spending holidays and free time with. His two kitties, Poppy and Sophie, kindly share their home with Barb and himself. Dr. Bausch joined our practice in 2004. She grew up in rural Kansas and comes from a long and proud line of farmers and ranchers. 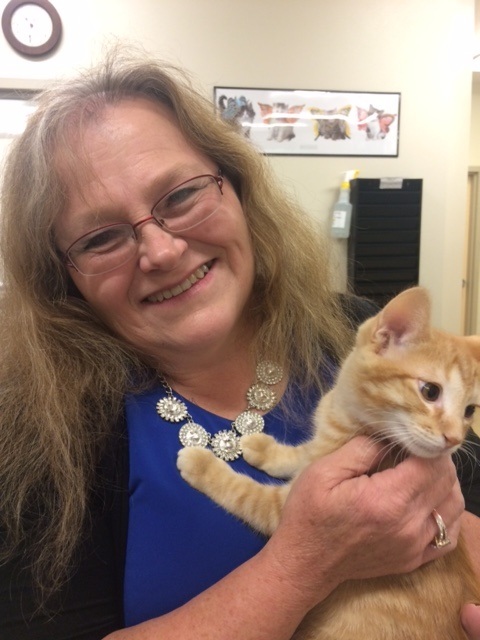 Dr. Bausch had a first career prior to Veterinary medicine working with the human side of things with disabled adults, then as a medical social worker, and last as a nursing home administrator. Veterinary medicine was always her first calling, so when the opportunity presented to return to school, she didn't pass up the chance. Dr. Bausch received her Veterinary degree from Kansas State University receiving a broad education in small and large animals. While in school, she was selected to participate in a National Institute of Health grant to expose veterinary students to the field of research. She worked on a project investigating blood flood changes in Hypothyroid animals and published as first author on a study in 2002. She also worked in the Rabies lab at Kansas on programs that allow well-vaccinated animals to travel with their owners to other countries. Dr. Bausch enjoys all aspects of veterinary medicine including internal medicine, diagnostics, as well as soft tissue and orthopedic surgery. Since graduating, she has obtained additional training in repairing torn cruciate ligaments in knees, reconstructive surgery to close large or disfiguring wounds, and has received advanced training in animal dentistry. When not at work, Dr. Bausch enjoys gardening, hiking, fishing, and spending loads of time with her two cats and two dogs. She is an active member of St. Andrews Episcopal church in Manitou Springs and works a number of volunteer projects through the church to serve the community, homeless individuals, and others in need. Dr. Harriger joined our practice in 2013. Growing up in Colorado Springs, she actively participated in 4-H clubs and Little Britches Rodeo. Veterinary medicine is the second career for Dr. Harriger. She was a secondary math and science teacher for 13 years. The highlight of her teaching career was spending 2 years teaching high school in rural Kenya. 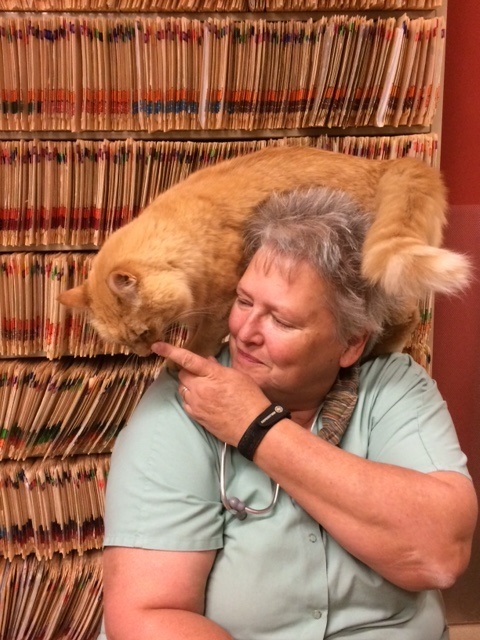 ​ Dr. Harriger received her veterinary degree from Colorado State University in 1999. While in vet school she worked four years on a groundbreaking menopause research project, utilizing menopausal ewes. Initially, after graduating, she worked in a large mixed animal practice in Parker but eventually realized her real love was small animal internal medicine. Dr. Harriger currently lives in Black Forest with her Australian Shepard Seger (named after Bob ) and her two Australian Cattle Dogs Opal and Nesta. All enjoy hiking ,swimming snowshoeing and competing in dog sports like agility, flyball and dock diving. Dr. Severson grew up in rural Kansas surrounded by a large family with plenty of animals. She developed a passion for animals early on where she would save up her allowance to buy cat food for stray cats, rescue stray dogs and then hold impromptu dog shows and circus acts with her new found friends and siblings. One time she traded her tricycle for a baby robin that the neighbor kids hit out of a tree...needless to say mom wasn't too happy about that and ended up getting her tricycle back. Dr. Severson graduated high school in 1980. After high school she completed certificate courses in equine science from Meredith Manor and worked on horse farms in the Midwest. In 1987 she moved to Breckenridge to be in the mountains where she held a assortment of jobs including house keeping, print gallery, fast food restaurants(yes Dr. Severson was once the friendly face of Dairy Queen) and a bakery where she was able to perfect her now hobby of baking and cake decorating. After a divorce and a motorcycle accident Dr. Severson decided she wanted to pursue her lifetime passion of animals and go back to school in her mid thirties to be a vet. She received her B.S. in microbiology in 2004 from Colorado State University in Fort Collins and her D.V.M from Kansas State the same year. After graduation she practiced in Pueblo until starting at Bijou in June of 2016. Dr. Severson is passionate about God, family and the human animal bond. She has taught therapeutic riding lessons in Salida where handicapped children discover the bond and love of horses. She enjoys the science of medicine but relates and understands the bond of humans and animals and the effects it has on both. She loves to dance, cook and bake, hike and be outdoors as well as fine arts. She lovingly shares her home with a Yorkie mix named Peepers and several special needs cats that take care of her. ​Dr. Meyer joined the Bijou Animal Hospital team in January of 2017. She is a Colorado native having grown up on the western slope in Grand Junction. Dr. Meyer and her husband’s love for adventure and travel led them to Australia where she graduated veterinary school from the University of Sydney. The best part of studying in Australia was working with the native animals, in particular echnidas and wombats. Dr. Meyer and her husband will miss the Aussie slang, white sand beaches and stunning views of the Sydney harbor but are thrilled to be back in Colorado and closer to family. In her free time Dr. Meyer enjoys hiking, running, skiing, traveling and hanging out with her Queensland Heeler named Tildie, and her cats Batlynn and Batman. Her most recent joy and absolute new love in life is her daughter Claire who was just born in April, 2018! Dr. Busby came to Colorado from New Orleans, LA. He pursued his passion for veterinary medicine at Louisiana State University School of Veterinary Medicine. He finished a small animal rotating internship in Charlotte, NC. and he has an interest in small animal medicine and exotics. When Dr. Busby is not at work, he loves fishing, hiking, scuba diving, and kayaking, among other outdoor activities. Outdoors is where he loves to be. He came to Bijou Animal Hospital from Veterinary Hospital Associates in Pueblo where he worked for two years. Before coming to Colorado he practiced mixed animal and exotic medicine in Southern Louisiana. He has two dogs, Coceaux and Rocky that enjoy the Colorado hiking as much as he does. Dr. Vern Smith established Bijou Animal Hospital in 1959. Dr. Bill Willhoit joined Dr. Smith in 1971 and together they continued to build the wonderful hospital we have today. 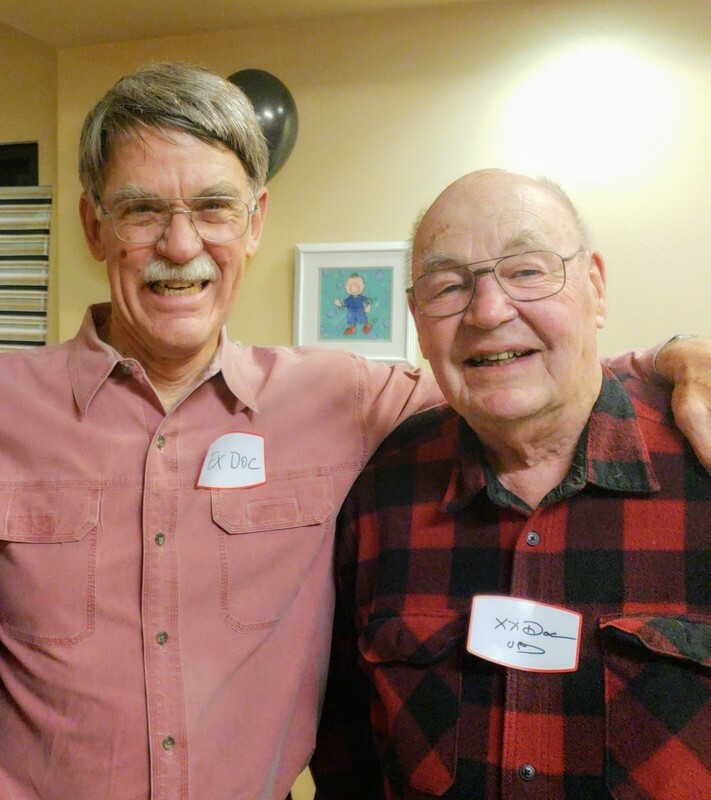 Dr. Smith retired in January of 2000 and Dr. Willhoit retired in May of 2018. Both are missed and both have put lifelong determination and hard work into making Bijou Animal Hospital a wonderful place for pets, clients and employees alike!